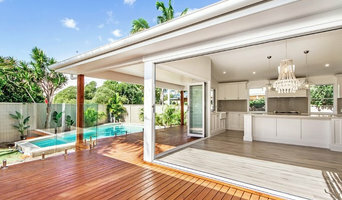 Gold Coast Joinery offers a comprehensive design and supply service to fulfil virtually all of your cabinetry needs, whether you are renovating or building your new home, whether your personal style is contemporary, traditional or casual, we will make your dream kitchen, bathroom, laundry, wardrobe or living area a beautiful, functional reality. At Kich, we understand how important customer service is. That is why all our designers are hand picked to make sure we deliver on our promise to give the service during your kitchen renovation. We are in contact throughout your renovation from design, ordering, manufacture to delivery so you know exactly what is happening to your kitchen and when. We manufacture kitchens right here in Queensland and source board from across the best manufacturers in Australia to give you an awesome kitchen. Thomas Bernard Concepts is a Gold Coast based design studio that focuses on luxury joinery. We offer design services for all of your cabinetry needs. Our services offer the opportunity to have your kitchen or bathroom already designed and specified before you approach any cabinet makers-this means that you have an opportunity to shop around for a price that is within your budget without impacting the quality of the job. Quite often cabinet makers will use jargon that is not understandable to the average person walking off the street which lends to confusion and quite often frustration. We are here to take the headache out of this proceed and give you the confidence you need to tackle your new project! 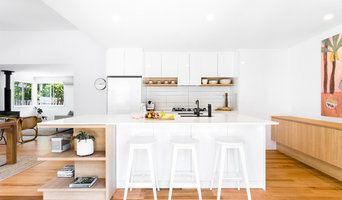 Kitchen, Bathroom, Unit and Home renovations specialising in custom made joinery using beautiful finishes and benchtops to compliment all styles of homes. We are delighted to show customers our new showroom nearing completion which showcases a wide variety of styles and ideas for kitchens, bathrooms, laundries, robes and entertainment units etc. Platinum Stone is a stone manufacturing company based in Currumbin Waters QLD. We supply, manufacture and install quality stone bench tops including; kitchens, vanities, BBQ’s, laundry’s, bathrooms, bars and much more. We carry a comprehensive range of stone products such as; marble, granite, travertine, natural and engineered stone. Our suppliers include Caesarstone, WK Marble and Granite – Quantum Quartz, Silestone by Cosentino, Finestone, Smart Stone and Essa Stone. Our experienced stonemasons can offer professional advice on stone products and colours, and provide an individually tailored service to suit all customers. Our main focus is providing the best quality stone tops for all customers. We cater to new homes, renovations and commercial outlets. If you’re planning on a kitchen renovation or a bathroom makeover, talk to our friendly qualified team about our stone products. We offer fast turn around and service areas including; Tweed Coast, Northern NSW, Gold Coast and Brisbane. We are a proud supplier of kitchen benchtops, bathroom vanities and laundries for our local GJ Gardner Homes (Custom Home Builder). Main Features: > We offer competitive pricing and fast turnaround > We cater for customers in Northern NSW, Gold Coast and Brisbane. 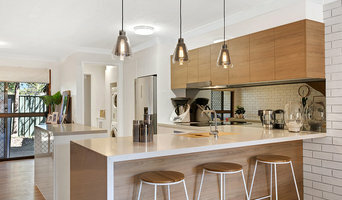 There are many types of kitchen professionals in Fingal Head, New South Wales – from cabinet makers, to carpenters and interior designers – and many trade professionals offer a full suite of expertise. Depending on the size of your kitchen renovation, and the kitchen designer, they may also hire contractors on your behalf and manage the project from beginning to end. Here are some related professionals and vendors to complement the work of kitchen & bathroom designers: Kitchen & Bathroom Fixtures, Appliances, Tile, Stone & Benchtops, Joinery and Cabinet Makers, Carpenters. 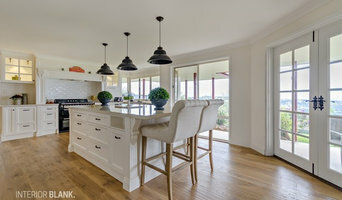 Find a Fingal Head, New South Wales kitchen designer on Houzz. Browse the Professional section on Houzz to find kitchen designers in Fingal Head, New South Wales. Then, scroll through photos of their latest kitchen renovations and see how their work compares to the scope of your project. You can read reviews to see how other homeowners rate their work, and message them directly to to ask any specific questions.